likely formed from interactions between magma and ice, or water, interactions that could create the perfect environments for microbial life. The northern lowlands spread across millions of square miles in the Red Planet’s northern hemisphere. But dark sediments in the region have puzzled planetary scientists. Briony Horgan and James Bell, both of Arizona State University, used the European Space Agency’s Mars Express orbiter to re-examine light radiated from the Martian plains. They determined that the strange readings were caused by sand composed of glass. Such landforms are not unique to red planet. Iceland boasts thousands of square miles of desert dominated by glass sand. 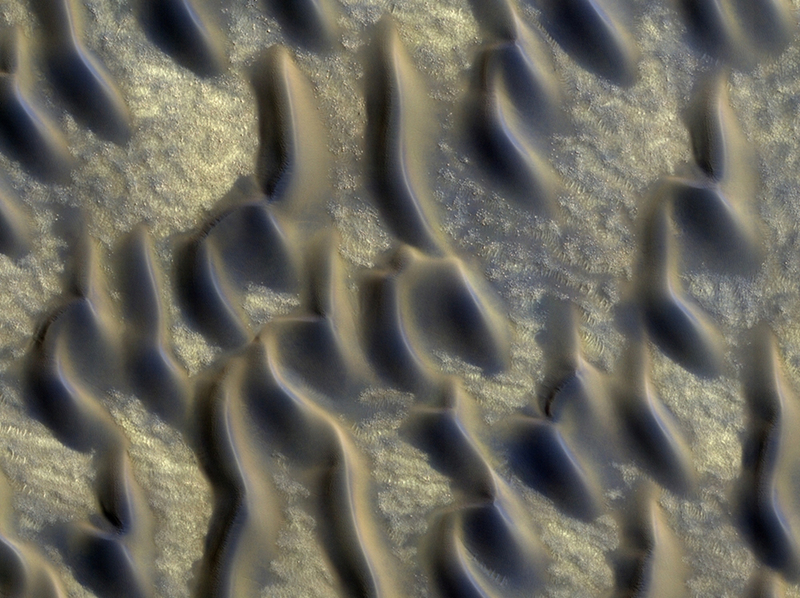 The Martian dunes don’t just make an interesting vacation spot. They also provide tantalizing hints toward their formation. As said Horgan the only way to create an extensive glassy deposit like that is through explosive volcanism. When a Martian volcano erupts, the thin atmosphere and difference in pressure should make for some great pyrotechnics. But a fiery eruption alone won’t guarantee glass. It takes an interaction with water or ice to manage that. The glassy expanse would not be the best location to search for life. But it could lead to more promising environments. According to Horgan they definitely know searching for organisms in the northern lowlands is difficult. He think the better place to go would be those source regions, the ice-magma interactions.